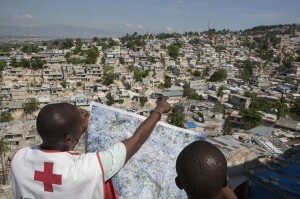 PORT-AU-PRINCE, Haiti – The Red Cross has been called to account for its operation in Haiti, after reports emerged claiming that the charity had built just six houses in the impoverished country since the January 2010 earthquake, despite raising almost half a billion dollars in donations. The Red Cross was among the many organisations to take part in the relief effort following the devastating 7.0 magnitude quake that killed over 220,000 people and displaced thousands more. Now, a damning report by the investigative journalism website ProPublica and US radio network NPR has accused the charity of wasting money through poor management and leaving Haitian families homeless and struggling to survive. ProPublica and NPR’s investigation has sparked a backlash that has called the charity’s transparency and effectiveness into question, with emails from worried top officers and accounts of frustrated insiders indicating that the charity has broken promises, squandered donations, and made dubious claims of success. While the Red Cross has built only six permanent homes in Haiti, the charity says it has provided homes to more than 130,000 people. And despite Red Cross CEO Gail McGovern’s ambitious plans to “develop brand-new communities,” not one has ever been built. Many international aid organizations have struggled after the earthquake mauled Haiti, the Western Hemisphere’s poorest country. ProPublica and NPR’s investigation nevertheless shows that many of the Red Cross’s failings in Haiti are of its own making, and are part of a pattern in which the organization has botched delivery of aid after disasters such as Superstorm Sandy. The Huffington Post reports that when the earthquake struck Haiti five years ago, the Red Cross was facing a crisis of its own. McGovern had become chief executive just 18 months earlier, inheriting a deficit and an organization that had faced scandals after 9/11 and Katrina. Shortly after the quake, McGovern said the Red Cross would make sure donors knew exactly what happened to their money. But according to the report, that hasn’t happened. The Red Cross offers only broad categories about where US$488 million in donations has gone. The biggest category is shelter, at about $170 million. The others include health, emergency relief and disaster preparedness. The report says there is reason to doubt the Red Cross’ claims that it helped 4.5 million Haitians. An internal evaluation found that in some areas the Red Cross reported helping more people than even lived in the communities. Jean-Max Bellerive, Haiti’s prime minister at the time of the earthquake, is one of the prominent persons who doubts the figure, pointing out the country’s entire population is only about 10 million. Indeed, given the results produced by the Red Cross’ projects in Haiti, Bellerive said he has a hard time fathoming what’s happened to donors’ money. “Despite the most challenging conditions, including changes in government, lack of land for housing, and civil unrest, our hardworking staff – 90 percent of whom are Haitians – continue to meet the long-term needs of the Haitian people,” the organisation said in a statement on its website. The American Red Cross declined to respond to any further questions from the Thomson Reuters Foundation.